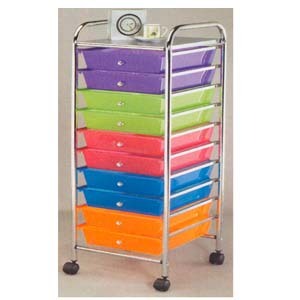 Rainbow Color of Plastic Drawers. Includes 10 Drawers with Roll-On Wheels. Size: 15-3/8 In. x 13-1/4 In. x 37 3/4 In.